If you’re tired of or fearful that your GoPro will experience shaking and distortion due to your activities, then look no further. We have come up with some of the most well-built, lightweight, high functioning GoPro stabilizers that will minimize demand while maximizing performance. Our GoPro Stabilizer reviews are also meant to help you understand more clearly how your GoPro works in various conditions, angles, and how to get the most out of your experience. We know how important it is to purchase a GoPro Stabilizer that is built with a stable design, low friction joints, and as small a build as possible without jeopardizing quality and performance. Let’s examine the best GoPro Stabilizers, and start your journey to finding the best match. 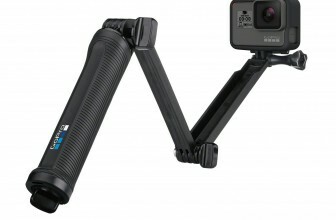 This is considered by us the best GoPro stabilizer on the market! The SCG 300# Glide Gear Scopio 3 Axis Gyro Stabilizer is built for convenience when on the go with your GoPro. The SCG is made so that fidgeting with tensioners, tightening the mounts, and shaky footage will be a thing of the past, as the SCG 300# GoPro Stabilizer is designed for its position to be modified with ease at the mere push of an (electronic) button. The SCG 300# GoPro Stabilizer is also made out of aluminum, so it’s not only sturdy but durable and long lasting – both huge benefits for someone actively using a GoPro regularly – especially in extreme sports. The SCG Gimbal design is very competitive and provides not only flexibility, but also horizontal tilt control, consistency, and strength – even if for some reason you decide to take your GoPro upside-down, you can expect this GoPro Stabilizer to follow you and maintain quality footage. 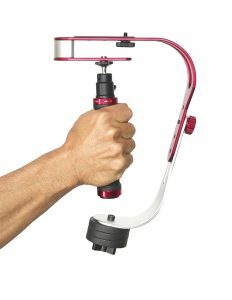 This GoPro Stabilizer, in particular, includes genuine GoPro Adapters, and even a “pole” or selfie-stick too, which is especially useful for those making their own professional videos, bloggers, and sports enthusiasts. So, if you’re looking for a well-built, flexible, and notable GoPro Stabilizer that provides smooth operation and uses brushless motor technology then the SCG 300# is the way to go! Different Rotation Angles: 270tilt working angle, 90 roll working angle, 270 vertical heading working angle. The Zhiyun Z1-Pround 3-Axis High-Precision Handheld Steady Gimbal is an excellent GoPro stabilizer, easy to use right out of the box, and thanks to its durable hard cardboard and foam box it’s easy to take on the go. The Zhiyun GoPro Stabilizer is built with a solid metal design, and including three advanced modes means you can use your GoPro and this GoPro Stabilizer like a ‘pro’, but without looking the part, or making yourself a target outside, or worse, carrying around relentless pounds in heavy photography equipment. The Zhiyun Z1-P Gimbal is very accurate, and responsive to little twitches or twists of your wrist to manipulate the Z-axis as necessary. The added-assist features of the Zhiyun Z1-P Gimbal make this a very user-friendly GoPro Stabilizer. Calibration with the Zhiyun Z1-P Gimbal GoPro Stabilizer is reasonably simple, and if you’ve been experiencing shaky, unclear film and poor conditions that negatively influence your footage then this Gimbal is a great prospective solution. The gyros are very accurate, and this GoPro Stabilizer is designed to specifically be connected to your GoPro, accounting for the weight, and calibrating each time as necessary. Therefore, if you seek a 270 tilt working angle, 270 vertical heading working angle, or a 90 poll working angle and a GoPro Stabilizer that will follow you around, automatically calibrating itself and withstanding relatively abrupt position or environmental changes then this Gimbal is the way to go! The Official ROXANT PRO Video Camera Stabilizer. Don't be fooled by imitations. Roxant is the only authorized seller of our brand. If you’re looking to get the best GoPro Stabilizer on a budget and don’t mind a handheld design, then the ROXANT PRO is a great move, The Roxant Pro GoPro Stabilizer is built with convenient and sensible features like a no-slip grip, and a ‘shake-free’ design to ensure your footage is as clear and professional as possible. Settling for a handheld model GoPro Stabilizer shouldn’t be considered a sacrifice. In fact, plenty of professionals and sports enthusiasts alike prefer a handheld GoPro Stabilizer so that they can more easily navigate between tight spaces, crowded events, and areas that it’s perhaps safest to keep your GoPro as close to you as possible. The tensioner and tightening build of the Roxant PRO make it possible to justify and equalize your weight distribution of your GoPro without experiencing instability, poor footage angle, or an unsecured positioning during your GoPro activities. The included screws with the Roxant Pro make this a breeze, and the Gimbal is designed to (safely) tighten with ease, so you can also play with the Gimbal adjustments to experience variations of shot precision, quality, or angle. For those of you that are explorers and enjoy adventuring around your local town or traveling this Roxant PRO GoPro Stabilizer is a great choice when it comes to using it on the go – such as walking or even a slow jog pace. The Roxant is lightweight, and the counterweight doesn’t extend so low that you are unable to get low or take neat ‘drop shots’. So, if you’re on a budget and within this price range then the Roxant Pro should undoubtedly be your “Go To” GoPro Stabilizer. It’s built almost entirely of sturdy, durable metal and is reported by customers to last a long time without any deficiencies or defects. You can also find the best cheap gimbal for Go Pro here. Why do you need a GoPro Stabilizer? GoPro Stabilizers are designed to do just that; stabilize your GoPro recording experience and maximize professional or enjoyable footage. Without a GoPro Stabilizer, even if you just have a GoPro or other model “pole” (or ‘selfie stick’), the level of shakiness, distortion, and poor angling functionality can still be a hindrance to your filming experience. Professional Blogging – For those that frequently go out and about to record various environments, situations, and activities will benefit greatly from a GoPro Stabilizer. In the professional world, even for those on YouTube (and relying on their videos as a source of income or marketing), providing a shake-free, stable, and easy to follow footage can make all the difference between being a successful GoPro camera user or being seen as an amateur. Extreme Sports – A GoPro Stabilizer is ideal for those that are using them in serious or extreme environments and activities. For example, someone that is surfing or even skydiving is obviously going to benefit from using a GoPro Stabilizer to record their adventures, skills, and experiments – especially because the nature of their sport or activity will undoubtedly cause for a jumpy, bizarre adventure. 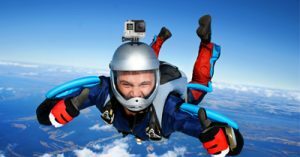 If you’re going to be getting thrown around in 10 foot or more waves while surfing on your long board or falling thousands of feet from the sky on your next skydiving trip than a ‘selfie-stick’ may no longer be a viable solution. In fact, even if it is, it doesn’t take away from the reality of precision and added benefit, as well as (professional) flexibility included with GoPro Stabilizers – in particular, the ones we have outlined and reviewed for you here. Bonding with the Family and Filming it all – Many adventures and trips with the family may they be outside the country or simply outside the home may be especially demanding motion-wise – such as the rollercoaster ride example. Also, in many such places a “selfie stick” or simply holding your hand out with the GoPro attached can not only be hazardous but also prohibited. Whether it’s your next white water rafting trip with your loved ones, or going down a ‘lazy river’ in your raft, GoPro Stabilizer can guarantee you precision and footage even when your hands are occupied or you yourself can no longer ensure consistent footage due to other environmental conditions. What makes a Great GoPro Stabilizer? Now that you have a relatively clear idea of what GoPro Stabilizers do, how they’re used, and how they add to your outdoor, adventuring, and professional experiences let’s explore some of the values or characteristics you should search for when shopping around for a GoPro Stabilizer. – Always search for and consider GoPro Stabilizers that include manufacturer approved and original adapters if necessary, as OEM, plastic substitutes, and other knock-off parts can be the end of not only your GoPro Stabilizer but even your expensive GoPro camera investment itself. Reputation is everything – read more below. – Go with a brand that has demonstrated it’s success not only across its regular users but even those that are innovators and have managed to use the GoPro Stabilizer for other purposes – or in more extreme or unique environments than originally designed for. The more flexible, convenient, and accommodating a GoPro Stabilizer is, the more likely that the company took a substantial amount of time to design it for performance and your satisfaction – for example, a GoPro Stabilizer that has (motorized) panning capabilities and can provide an 180 to 360 degree view from various angles and conditions is an optimal feature for many. – Make sure you carefully read the dimensions of your prospective GoPro Stabilizer, it’s weight, height, any stabilizing design, weights, and what – if any – types of pivoting arms and joints it’s built with for both convenience and precision. – Find a GoPro Stabilizer that is built with the added necessary features and parts to not only enhance your comfort but also keep your GoPro safe. For example, extra mounting tensioners, screws, and specialized bracket size and design. – How flexible is your GoPro Stabilizer? Dependent upon how and where you intend to use your GoPro and Stabilizer it’s significant to take into account, even if with a budget, the various application and flexibility included with each product, and again it’s mounting features. For example, not all handheld GoPro Stabilizers are designed for motorcycle helmet cam footage. The SCG 300# ProPro Stabilizer is great for GoPro enthusiasts seeking flexibility, a detachable head, and monopod compatibility. With three modes and helpful LED light indicators each feature is clear, and the power usage is convenient to keep track of – especially on the ‘go’. Adjusting the pitch is made easier with this model of GoPro Stabilizer in particular, and with it’s “follow” mode you can throw at it whatever you wish but still find confidence in knowing that this GoPro Stabilizer will accurately track you – and with minimum shocks, shakes, or focusing issues. 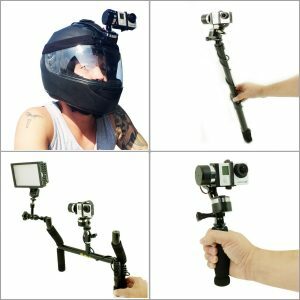 With the “head follow” mode this GoPro Stabilizer is perfect for those recording while riding their bike or motorcycle, in some cases surfing and even skydiving. Most extreme sports and hobbies will become a delight, and using this GoPro Stabilizer model, in particular, will make it a breeze. 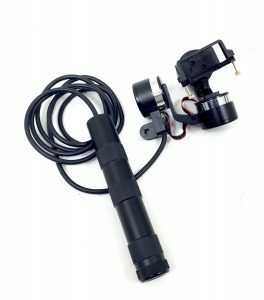 As an added bonus this gimbal also includes a powering unit and cord that you can recharge your GoPro with while out and about – a huge advantage and not something you see very common with other GoPro Stabilizers. It also includes some pretty helpful, durably made accessories such as a head and helmet strap, and even a handlebar mount (though it, of course, will be a bit bumpier of a recording experience if used this way). 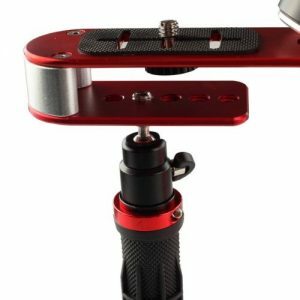 As far as recording sessions go for both hobbyists and film beginners the super smooth gliding motion shots allow for easily adjustable pitch, pan, and tilt modes so you can modify at the ease and press of a button while on the go the view you want, and do it in a professional, clear, and smooth manner. The SCG 300# was also built to be compatible with most GoPro accessories, which is a great added bonus, and shows the buyer it’s overall design and convenience value. In comparison to many other GoPro Stabilizers, poles, and ‘selfie sticks’ alike customers report back that this is by far the most durably built, relying on lightweight premium grade aluminum and metals, sure to stand up against most extreme conditions, sports, and environments. Some customers have expressed concerns with the readability of the included instructions with this product. Though in fairness, nothing out beats a video and it should come as no surprise that most customers nowadays rely on more modern means of understanding product assembly or use if the instructions they receive are mediocre in quality – such as via the Internet. The included Velcro strap to attach your GoPro to the pole of this product albeit well thought, customers have reported it is not the best quality materials, and that many don’t trust it’s quality or durability in consideration of the total investment made into their GoPro should anything go wrong. However, it’s worth noting that with such a premium, quality, though perhaps a bit pricey of product consumers should probably put the majority of their trust and expectations in the main product itself – not accessories. For example, there is also a 15ft pole-extender available on Amazon for your SCG 300# GoPro Stabilizer, and likewise, if one had been included people would likely have doubted or been weary of trusting it’s quality or build considering it’s not the products ‘main attraction’. Some customers have reported less than desirable noise levels emitting from the motors this GoPro Stabilizer uses to power it’s tilts and movements. For those that are likely to add background music or hold less importance in actual video audio, this should not be a problem, however for those that do an alternative solution may be necessary. Lastly, several customers have complained that the included (though optional) feature of the added power cord is inconvenient, in the way, and has even gotten in the way of the GoPro footage in some cases. 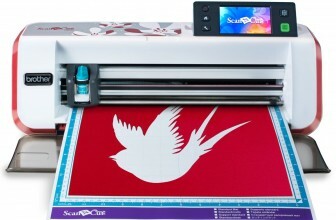 However, the SCG 300# does include a Velcro strap, and likewise, simple plastic ties could be used to ravel and secure the wire so this is no longer an issue. 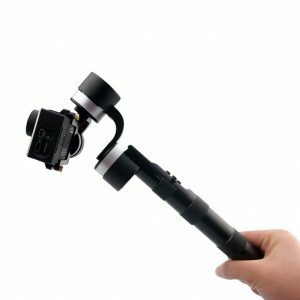 If you need a GoPro Stabilizer that’s designed for intense movements either within your hobby or job, then the Zhiyun Z1-Pround 3-Axis is a great selection. 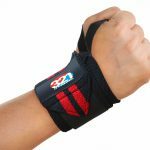 It reacts very consistently to hand gestures or wrist commands for panning and adjustments as necessary. A lot of customers have reported feeling very comfortable when holding and using this GoPro Stabilizer. With a fairly decent battery life and an easy to use ‘out of the box’ compatibility and setup, this remains a top pick among GoPro owners and those shopping around for stabilizers. This gimbal is relatively sensitive to weight changes, and per its build is designed to calibrate, balance, and distribute the necessary weight each time it’s powered on to ensure a convenient, accurate, and desirable shooting experience. The gyro technology is not one to be underestimated, and for the money you pay, this is undoubtedly an excellent, durable, long-lasting product. If what you’ve been searching for was an Action-Cam stabilizer then this is right up your alley, and with easy to use and remember modes filming professionally or during for your hobbies is made easy. It also includes an upside mode, which is relatively impressive considering you don’t have to swap the camera around to film effectively from this angle. The brushless motors used to power functionality, panning, and shifting are nearly invisible so for those that are serious about their audio quality, the Zhiyun Z1-Pround 3-Axis High-Precision Handheld Steady Gimbal GoPro Stabilizer is an optimal choice and our best pic for a GoPro Stabilizer for the money paid. The Zhiyun Z1-Pround GoPro Stabilizer also includes a charging port to bring power on the go with you and recharge as necessary – an excellent bonus for those constantly on the go, in rigid environments, or places that wouldn’t otherwise make re-charging easy to accomplish. In comparison to most GoPro Stabilizers on the market, this one, in particular, is competitively precise, durable, and handy. With its tilt up and down buttons it definitely sets itself apart from the competition, and thanks to its nearly indestructible packing box it makes a carry-case or protector rather unnecessary for most which are great because it saves customers both time and money. Some customers have reported and complained about the calibration being difficult or impossible in some circumstances. For those that do not have cameras or GoPro’s which automatically shoot with a straight axis using this GoPro Stabilizer may be tough at times, but, that’s not to say that Customer Service for this product or online videos and articles could not make up for this. Few customers have also complained about a “misleading” battery extension and operational feature. The two batteries and battery extension do need to be used together, and while some find the added weight or distribution unruly, those willing to dedicate a bit of extra time to creativity and access other helpful modification sources this problem likely will quickly become nonexistent. Some customers have reported that this GoPro Stabilizer does give an unwanted motor noise in some cases, depending on the environment you’re using it in. However, on the contrary, other similar GoPro Stabilizers appear to have a much higher frequency and the inevitable challenge of high-volume motor noises in comparison to this one in particular. 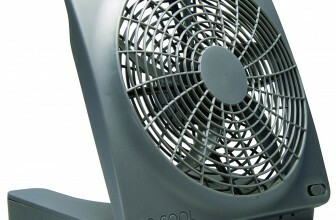 Few customers have also stated that customer service is not the most diligent and that in less than a year in some cases the two motors appear to ‘go bad’. However, consumer experience, especially when it comes to GoPro Stabilizers is terribly subjective to each user’s purpose and wear, tear, or abuse they put on their GoPro and stabilizers. Lastly, some customers were less than enthusiastic that this product is not made or serviced in the United States. Though, a bit of research will easily demonstrate that nearly none of these are and that plenty ‘richer’ products of higher value and quality are majority made in China and accompanying countries. If you’re looking for an effective, light-weight, and portable GoPro Stabilizer on a budget then the Roxant Pro is a great product for you. It is excellent for tight spaces, filming in crowds, cars, boats, and other small vehicles or environments where timing and stability are everything. If you need a steady GoPro Stabilizer that’s designed for sports films and activities, a lot of movement, change of pace, directions, and positioning then the Roxant Pro is quite effective, and has received positive feedback from both hobbyist and professional consumers alike that needed a consistently convenient, effective, and well-built GoPro Stabilizer on a regular basis. It’s no-slip-grip design just sweetens the deal, and adds to the overall picture of convenience, stability, and yet not an overly excessive size or weight so that it may still be carried or transported with ease, as well as assembled and disassembled. While not the easiest to use GoPro Stabilizer, the Roxant Pro definitely dashes in as a nice solution to those on a budget, just getting into the world or profession of filming with a GoPro and looking for new advantage points, angles, or filming tactics. The Roxant brand and the Roxant Pro, in particular, has an especially strong reputation among its consumers that frequently take and use their GoPro in severe weather climate and environments, from rain to dust storms, sand, and extreme humidity. The Roxant Pro GoPro Stabilizer is definitely a top choice among GoPro users that travel frequently to new places and are always challenging themselves and likewise the photography technology and equipment they rely on to share their experiences with the world. 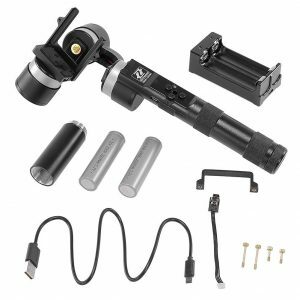 If you’re frequently on your bicycle recording, or even faster a motorcycle and are seeking an anti-shake gimbal then the Roxant Pro is an optimal solution. 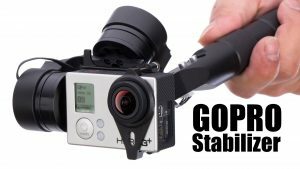 Given the variety of changeable features and it’s durable build, convenient tensioners, features, and grip this is by far one of our top picks not just for those on a budget, but GoPro consumers in general looking to add personality, durability, and a little pizazz to their future shots. Some customers have complained how this gimbal positions and relies on bottom weights for balance. While it’s true this may not be the most convenient or easiest to use, assemble, or manipulate it still remains one of the most popular designs and choices for GoPro customers. While it does absorb some of the shakes you get during running or stomping, and keeping your lenses pointed straight, the disadvantage of losing freely adjustable angles is upsetting to some, the sway has been recorded to be inconvenient to others, and few have complained that it’s on the heavier side. Some customers have complained that the Roxant Pro is not cross-application friendly, such as with IPhones or DSL Cameras, and though this may be true, it’s important to remember that this stabilizer was specifically designed with GoPro cameras in mind. Therefore, alternative or after the fact modifications or cross-use should be taken with a grain of salt, and done very carefully. Few customers have reported that the plastic to ball pivot joint and clamps were not built correctly, welded improperly, and breaks loose under certain circumstances. Both a little practice of regular use, balance, and the appropriate product (the GoPro) can go a long way. Also, should these consumer reviews be valid which no doubt they likely are, Roxant is by no caliber the only company that would have mistakenly released defective or otherwise poorly assembled devices and products. This is why customer service, quality, availability, and return policy are so important when considering investing your money into a worthwhile GoPro Stabilizer, from our list, on Amazon. It’s become apparent to us throughout researching these various GoPro Stabilizers as it hopefully has to you, that price is by no means everything. In fact, even some of the mid-ranged or most expensive GoPro Stabilizers available on the market are inconvenient feature wise, hard to understand, come with hard or impossible to read instructions, or are even built with mediocre or fewer parts. This is why it’s so important to shop with a source you trust, and a reputation you are familiarized with. Just as we have applied here, we recommend you remain wary of the brands you consider when searching for the best, most affordable, and reliable GoPro Stabilizer if you’re on a budget. Don’t always dig through reviews, but also consider the material manufacturing differences – for example, metal vs. plastic or more specifically hard plastic vs. aluminum build. 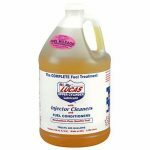 Added effects and functionality designed for convenience like a slip-free handle really can make all the difference. But don’t forget, no matter what type of GoPro Stabilizer you’re considering or shopping around for, safety should always remain your number one priority. Even GoPro Stabilizers designed to be clamped down or featured on other GoPro accessories must not be mistaken for flawless builds or a “guarantee of function”. How you use, and what you use your GoPro Stabilizer for can truly make all the difference in not only your shooting experience but also overall stability and longevity of the stabilizer you chose. Still uncertain which GoPro Stabilizer might be best for you? Consider, and even write down the various uses you intend environments, demand, and ideal materials or manufacturing strategy that is most likely to ensure your stabilizer holds up under the necessary severe weather or environmental conditions, protecting both your GoPro Stabilizer, your GoPro, and you.